In the previous blogs here, we have looked at the Provisioning process for a complex Team site. Much of complexity was easily handled by the PnP Provisioning process. In this blog, we will look at the similar Provisioning process but from an Admin point of view and use PnPPowerShell for create and provision the site. The steps are actually quite simple and could be done quickly. 5. Finalize the creation with any remaining changes. 3. Since the apply template process only adds differential items, any explicit changes for eg. left navigation default links removal needs to be done after the apply template process is complete. 4. The apply template works by matching the Provisioning Template schema with latest PnP code schema. Hence, if you are working with a old template then use the Schema switch as specified below. The first step would be to install the PnP PowerShell module. Check this blog here to see how to get started with PnP PowerShell. Next create a template site that will be used to create the new sites. After the site is created, we could create a template from it using the Get-PnPProvisioningTemplate cmdlet. Some of the key switches while creating the template are below. -ExcludeHandlers – Custom handlers to exclude settings or elements from the site sucha as ApplicationLifecycleManagement, Site Security, WebApiPermissions etc. -ExcludeContentTypesFromSyndication – Exclude the Content Types pushed from the Hub. This is generally helpful if content types no longer persist and could cause conflict issues. -Handlers – Custom handlers to explicitly include settings or elements from the site such as Audit settings, Features, Fields, Search Settings, Term Groups etc. Next is to apply the template which takes about 20-25 minutes for a complex template with about 20 libraries, 30 site columns, 15 content types etc. Since the process takes so much time, it would be good to trace log any issues and error handle the application process. The Apply Provisioning Template cmdlet details are below. It is important to note some of the switches for the cmdlet as it does apply some custom settings for the template. In this blog we saw how we could use PnP PowerShell and PnP Provisioning Template to apply custom template to a newly created site in order to automate the creation process. 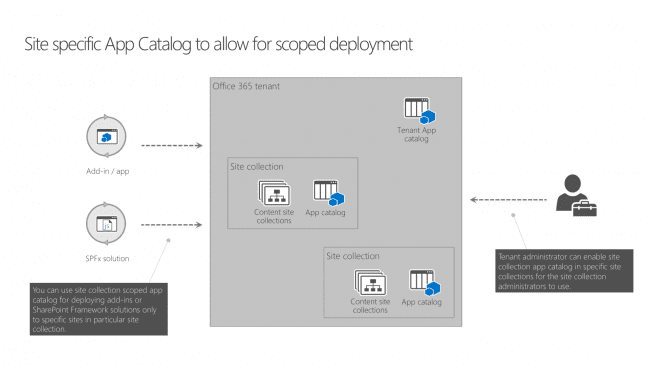 So what does it mean by Site Collection App catalog ? Site Collection App catalog, as the name rightly implies, is an App catalog scoped for a site collection. In other words, it elevates a Site Collection to allow hosting Apps and create a App Catalog in the Site Collection. The Site Collection App Catalog could be enabled using the following script. In the above blog we saw how to use Site Collection App Catalog for deploying web parts in the restricted scope of Site Collection. 13. 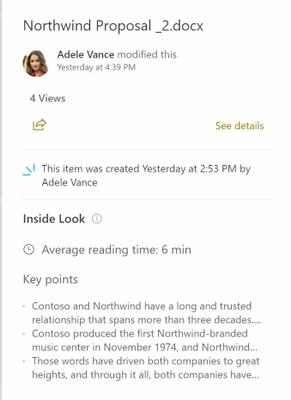 SharePoint news feed into Microsoft Teams – Now we could publish SharePoint news to a Teams Channel allowing users to view the news content in teams itself. With the modern responsive design and full-page layouts, Communication sites are an ideal candidate for Intranet sites. During last few projects, we have implemented Modern Intranet portals using Communication Sites and found that user adoption was exceptionally high. We also gained a lot of experience from these implementations, which I will be sharing here. Note: Most of the below features and advancements are of during Oct 2018, there are few major releases from Ignite 2018 which be released later. I will be providing more information on them in upcoming blogs. Before we start discussing about the planning and implementation steps, lets’ look at some of the advantages of Communication sites. UX/UI Design components – This is really important for a good usability and user flow. 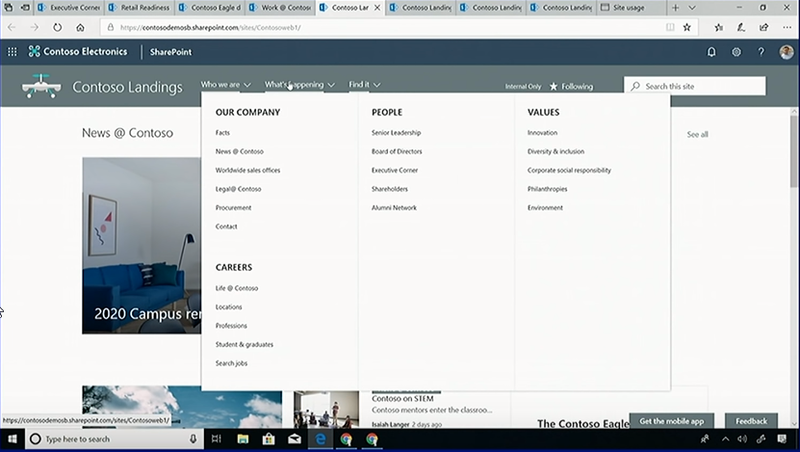 An important point to note is that the not everything in SharePoint Modern Site customisable, so it will be important to involve a SharePoint Technical person too for this. Customizations required – These are solutions that fall out of scope of SharePoint online existing or OOB functionalities. For eg. custom webparts, header or footer components, custom pages, and workflows. Again a SharePoint technical team member will be helpful to identify these. Training and Support – These are critical for a good adoption of the platform with it goes live. Feedback sessions – It would be important to plan these sessions with the key stakeholders before final handover. The Home page is one of the most visited pages in the Intranet and hence needs to be planned thoroughly. 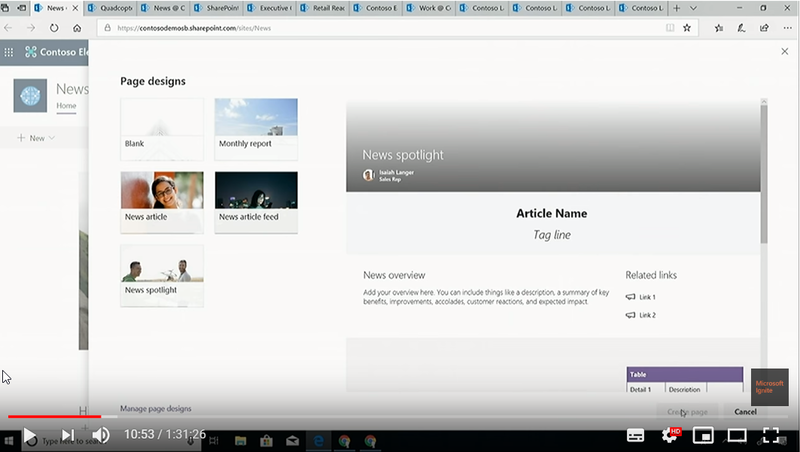 Try mix and match options with various web parts such as Hero web parts, Yammer, Highlighted content, News content etc. Quick Links (with image preview) etc. For custom page creation and content approval flow process, please check the blog here. Also in an upcoming blog, we will look at how to use OOB Page approval flows for implementing page approvals with site pages. 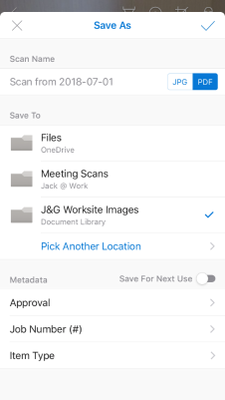 Metadata management is taking a next leap with modern pages and libraries. We can now set a page metadata on a page itself by editing which is quite cool as the authors don’t have to go searching for the Pages library to edit metadata. Also there is a page details web part of you would like to show the metadata on the page. Apps play an important role in an Intranet too. 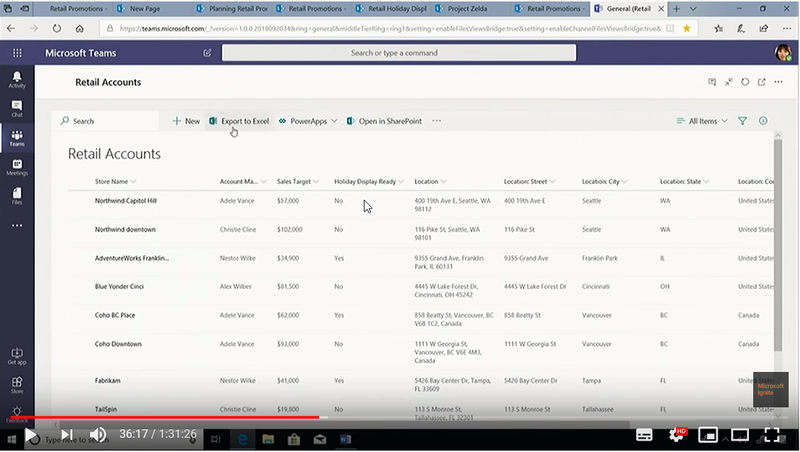 All the corporate, admin and IT forms can now be integrated into the modern pages seamlessly using PowerApps or custom build SharePoint Framework solutions. Also an important component for a new Intranet would be to get feedback on it. Use a Microsoft Forms survey for to capture the feedback. The above is a quick overview of Communication sites as Modern Intranet. Please keep an eye for more upcoming blogs on more technical details. There are various options to package and deploy a SharePoint Framework solution and as part of packaging and deployment process, the developers have to identify a best approach for their team. Sometimes it becomes a nightmare to plan the right approach for your solution, if you haven’t weighed the options properly. Working at multiple implementations of SPFx solution for sometime now, I have been able to get an idea of various options and approach for them. Hence in this blog, we will at these options and look at merits and limitations for each. Please check this blog for an overview of the steps for building and packaging a SPFx solution. The packaged solution (.sppkg) file can then be deployed to a App catalog site. The assets of the package (point 1-3 of above) could be deployed by any of the four below options. We will look at the merits and limitations for each. The assets could be deployed to an Azure CDN. The deployment script is already a part of SPFx solution and could be done from within the solution. More detailed steps for setting this up are here. Note: Please remember to enable CORS on the storage account before deployment of the package. If CORS is not enabled before CDN profile is used, you might have delete and recreate the Storage account. Proper set up steps required for setting up Azure CDN. In some cases if the CDN if not set properly, then the deployment has to be done again. For this option, you will need to enable and set up Office 365 CDN in your tenancy before deployment. For more details of setting this up, check the link here. This is also an option to copy for the compiled assets to be copied to a SharePoint document library anywhere in the tenancy. Setting this up is quite simple, first set the setting “includeClientSideAssets”: false in package-solution.json file and then set the CDN details in write-manifests.json file. From SPFx version 1.4, it is possible to include assets as part of the package file and deploy it to the hidden ClientAssets library residing in App Catalog. It is set in the package-solution.json file “includeClientSideAssets”: true. Risk for Tenant admins to deploy script files to the Tenant App Catalog. In this blog, we saw the various options for SPFx deployment, and merits and limitations of each approach. 3. Manage Security groups (SP level) and permission level. Most of the above steps are part of SharePoint Provisioning processes for a long time, just are less complex now with Provisioning templates doing a lot of heavy lifting. I will be writing very soon about PnP Templates, do and don’ts. One key point to add is that, with Modern Team Sites and Office 365 Groups we cannot add AD security groups into a Office 365 Unified Group. For more information, please see this link. The apply template process (link) takes about 45-90 min (long running process) for complex templates so wouldn’t be possible to start the post process on a flow wait state. Hence, we could trigger the post provisioning process on update of an inventory item or poll an endpoint for the status. In our case, we triggered the process when updating the inventory list with a status that apply template process is complete. 1. The first step of the Post Provisioning proces is to make sure that noscript is enabled on the team site (link) and all dependencies are ready such as Term stores, Navigation items, Site Pages, Content types, site columns etc. For a complex site template, this step will check for failure conditions to make sure that all artefacts are in place. isolate issues and ensure dependencies. After the failure checks are done, we will start with the Site structure changes and navigation changes. For implementing navigation changes, check the blogs here and here. 2. Next, we will update any site specific site columns, site content types and permission level changes. A upcoming blog will have more details to this. 3. After that, we will update the changes for list structure, we will move to list specific updates such as default value setting, modifying list properties etc. 4. Next let’s move on to Apps and Site Pages updates. These changes take time because of SharePoint ALM lifecycle any possible duplications. So error handling is the key. Please check the blog here and for steps to deploy app and web parts here. 5. Before we finalize the site, let’s provision folders and metadata. This is not a simple process if you have to set metadata values for large number of folders like in our case 800 recursive folders (child in parent). So we will use the metadata file override. All the values in the defaults file have to be hardcoded before override. so do error handling for all cases. For the CSOM approach check here. 6. Finally, we will set the site Property bag values for Site to set some of the tags making the site searchable. Here is the blog for the same. The above we saw the final process of Site Provisioning process with setting up site properties and attributes for preparing the site before handing it off to business for use. 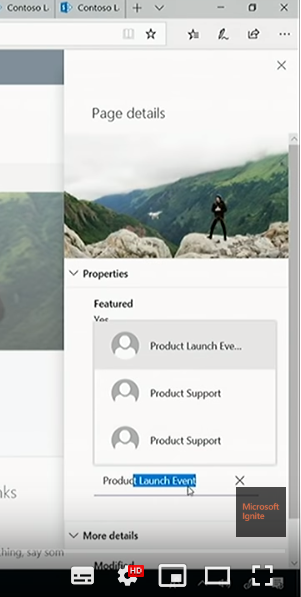 In the previous blog here, we looked at how to install apps on a SharePoint site. 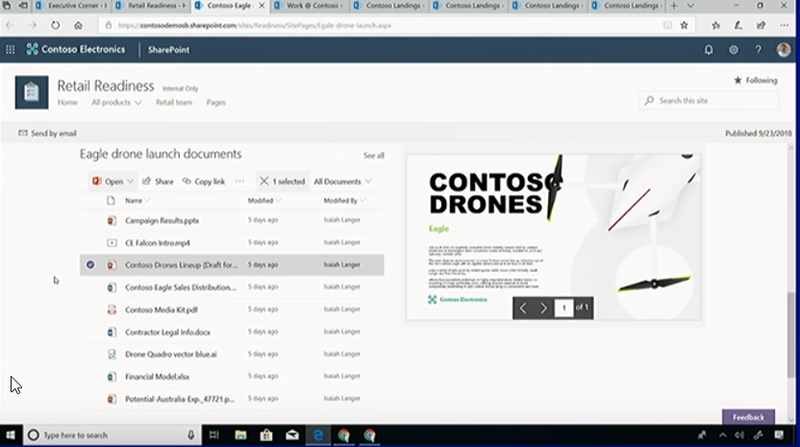 With SharePoint and Office Dev PnP CSOM, we could also add web parts to Modern Pages, both out of the box (OOB) web parts and custom web parts. For out of box web parts, refer to Chris O’Brien article here , where he has provided steps and also the web part IDs for the OOB webparts which is really helpful. In this blog, we will look at steps to add a custom web part and set it properties. 1. Find the page where to add the web part. For creating a modern page programmatically, refer to this link here. 3. After the web part is added, then set the web part properties using JSON schema of the properties using NewtonSoft.Json. the web part to be ready for use. Hence put a wait state till the web part is loaded for use. The above process could be used to add web part programmatically onto a page and set it’s properties. 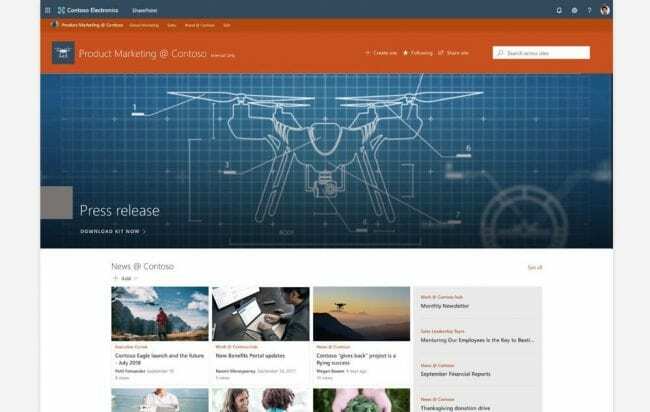 In the previous blog here, we looked at how to deploy and install SharePoint Apps. Now let’s look at installing SharePoint Framework extensions – Listview command sets programmatically. SharePoint Framework has three type of extensions that could be created – Application customiser, Listview command sets and Field customisers. In this blog, we will look at adding list view command sets programmatically. Listview command extensions are actually custom actions installed in a library or list. Hence to activate it we will go to the library/list, find the installed custom actions, if not installed we will install the new custom action. Below is the code for that. 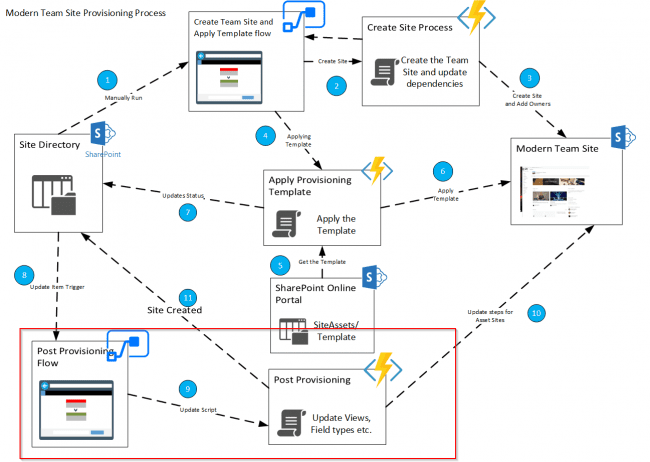 In this blog, we will look at steps to install and deploy SharePoint apps to Modern Sites using SharePoint ALM CSOM and PnP PowerShell. Using the below steps, it is possible to programmatically deploy and install custom SharePoint Framework apps using an Azure Function or a Local PowerShell script. 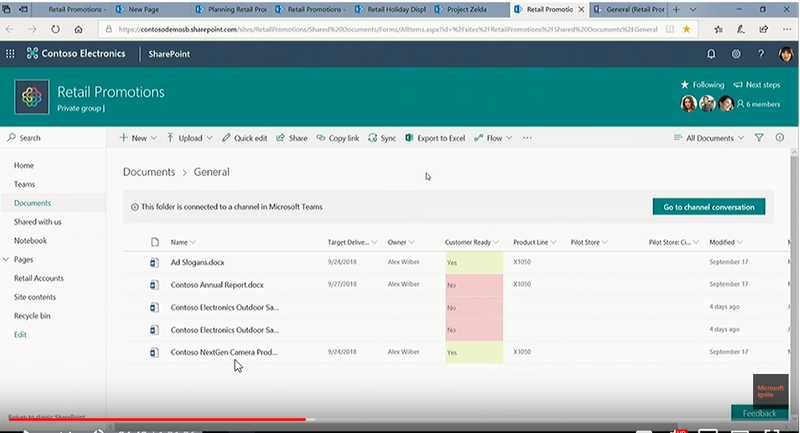 SharePoint Apps can be deployed on a site using ALM (Application Lifecycle Management) APIs. 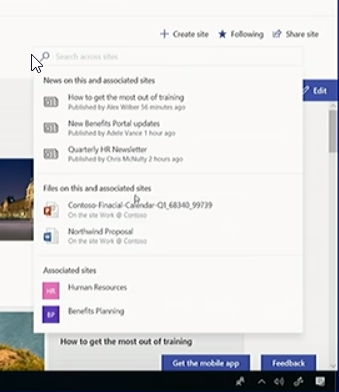 After the app is installed in the App catalog, we could add it to a SharePoint site. The steps are simple. The below snippet has the code for deploying and installing apps. 4. After deploy the app, install the app. First, lets’ get a list of apps in the App catalog. Note: There are two values that is supported by scope paramaters for Apps – Tenant and Site. After the app is installed, it is ready to be added or used at the site. In the upcoming blog, we will see how to add SharePoint Framework extensions and web parts programmatically. Health care systems often face challenges in the way of being unkept and unmaintained or managed by too many without consistency in content and harbouring outdated resources. A lot of these legacy training and development systems also wear the pain of constant record churning without a supportable record management system. With the accrual of these records over time forming a ‘Big Data concern’, modernising these eLearning platforms may be the right call to action for medical professionals and researchers. Gone should be the days of manually updating Web Vista on regular basis. Cloud solutions for Health Care and Research should be well on its way, but the better utilisation of these new technologies will play a key factor in how confidence is invested by health professionals in IT providing a means for departmental education and career development moving forward. Every day, each document, slide image and scan matters when the paying customer’s dollar is placed on your proficiency to solve pressing health care challenges. Compliance and availability of resources aren’t enough – streamlined and collaborative processes, from quality control to customer relationship management, module testing and internal review are all minimum requirements for building a modern, online eLearning centre i.e. a ‘Learning Management System’. Strong Analytics and Report Generation – for the purposes of eLearning, e.g. 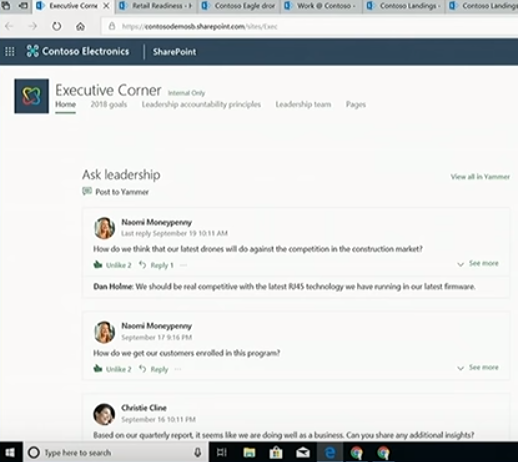 dashboards which contain progress reports, exam scores and other learner data, SharePoint workflows allows for progress tracking of training and user’s engagement with content and course materials while versioning ensures that learning managers, content builders (subject matter experts) and the learners themselves are on the same page (literally). Course Authoring Capability – SharePoint access and user permissions are directly linked to your Active Directory. Access to content can be managed, both from a hierarchical standpoint or role-based if we’re talking content authors. Furthermore, learners can have access to specific ‘modules’ allocated to them based on department, vocation, etc. Scalable Content Hosting – flexibility of content or workflows, or plug-ins (using ‘app parts’) to adapt functionality to welcome new learners where learning requirements may shift to align with organisational needs. Certifications – due to the availability and popularity of SharePoint online in large/global Enterprises, certifications for anywhere from smart to super users is available from Microsoft affiliated authorities or verified third-parties. Integrations (with other SaaS software, communication tools, etc.) – allow for exchange of information through API’s for content feeds and record management e.g. with virtual classrooms, HR systems, Google Analytics. 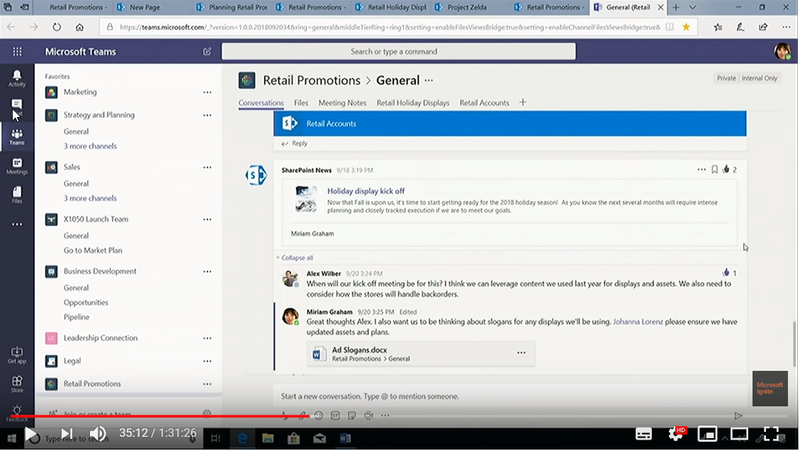 Community and Collaboration – added benefit of integrated and packaged Microsoft apps, to create channels for live group study, or learner feedback, for instance (Skype for Business, Yammer, Microsoft Teams). White Labelling vs. Branding – UI friendly, fully customisable appearance. 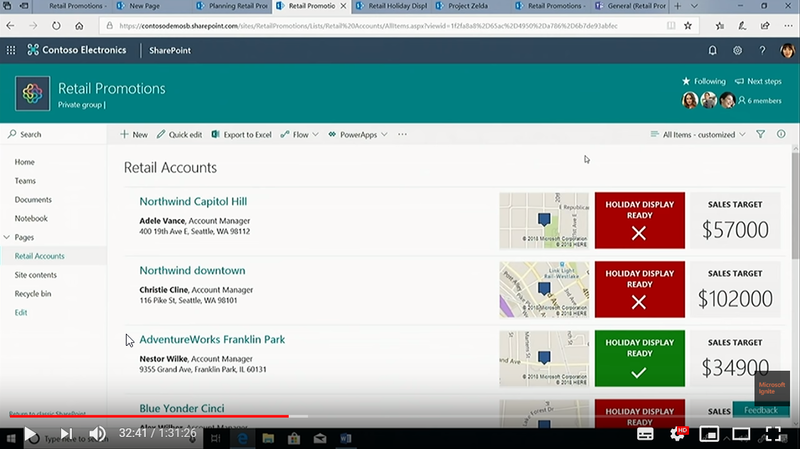 Modern layout is design flexible to allow for the institutes branding to be proliferated throughout the tenant’s SharePoint sites. Support of the Institutes Mission and Culture – in Health Care Services, where the churn of information and data pushes for an innovative, rapid response, SharePoint can be designed to meet these needs where, as an LMS, it can adapt to continuously represent the expertise and knowledge of Health Professionals. Outside of the above, the major advantage for health services to make the transition to the cloud is the improved information security experience. There are still plenty of cases today where patients are at risk of medical and financial identity fraud due to inadequate information security and manual (very implicitly hands-on) records management processes. Single platform databasing, as well as the from-anywhere accessibility of SharePoint as a Cloud platform meets the challenge of maintaining networks, PCs, servers and databases, which can be fairly extensive due to many health care institutions existing beyond hospitals, branching off into neighbourhood clinics, home health providers and off-site services.